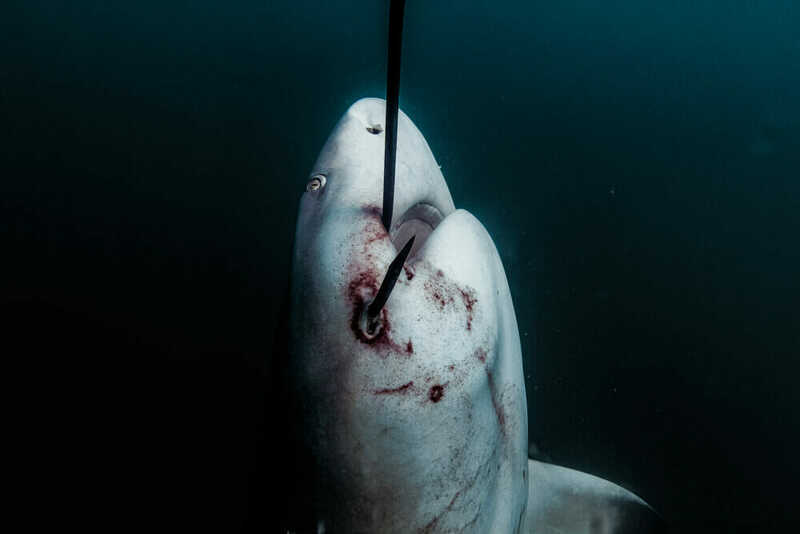 March 18, 2019 – Humane Society International (HSI) and the Australian Marine Conservation Society (AMCS) today release graphic new footage and photographs of the true cost of Queensland’s Shark Control Program in the Great Barrier Reef. The images were obtained this month at lethal drumlines set off the coast of Magnetic Island in the Great Barrier Reef Marine Park. Pictured are two ensnared tiger sharks and a bull shark, hooked and left to slowly die. Enough is enough, and HSI and AMCS call for the immediate removal of the lethal drumlines in the World Heritage-listed Great Barrier Reef. The Queensland Government’s Fisheries Amendment Bill 2018 outlaws being within 20 metres of shark control equipment on the grounds of “public safety” with fines of up to $26,110. This legislation will come into effect in a matter of weeks. According to QLD Department of Fisheries statistics, nearly 9,000 tiger sharks have been caught in the Queensland Shark Control Program since 19852. Humane Society International is currently engaged in legal action against the QLD Government and the Great Barrier Reef Marine Park Authority for shark culling on lethal drumlines within the World Heritage-listed reef. The case concluded in the Administrative Appeals Tribunal in February and the Tribunal’s decision will be made in the coming months. In the case evidence was heard that if sharks were no longer killed in the Queensland Shark Control Program it would make no difference to the risk of a shark bite.